Animated sausages, lady hot dog buns with a side of a Woody Allen bagel. 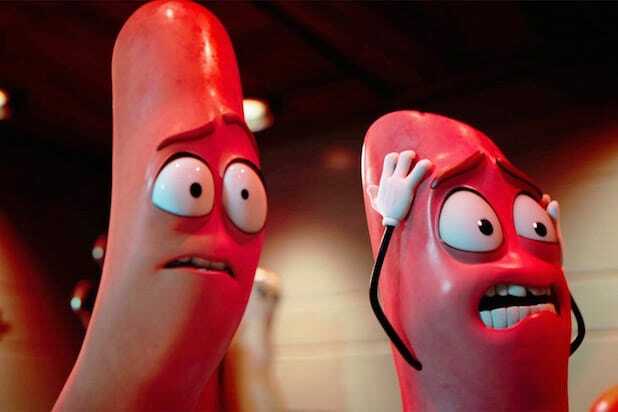 Moviegoers bought into Columbia and Annapurna’s R-rated animated comedy “Sausage Party,” which opened to much higher grosses than expected with $33.6 million. Featuring Seth Rogen as the voice of a grocery store weiner dog, the film easily became the highest grossing debut ever for an R-rated animated movie, dwarfing previous record holder “Team America,” which opened to $12.1 million in 2004. Playing at 3,103 locations, it also beat Disney’s 2013 feature “Planes” (which opened at $22 million) to also become the biggest August opening for an animated film. “Sausage Party” features the additional voices of Kristen Wiig, Edward Norton, Salma Hayek and Nick Kroll, and has a Rotten Tomatoes score of 82 percent, with only a B CinemaScore — which gages fan anticipation among those surveyed. 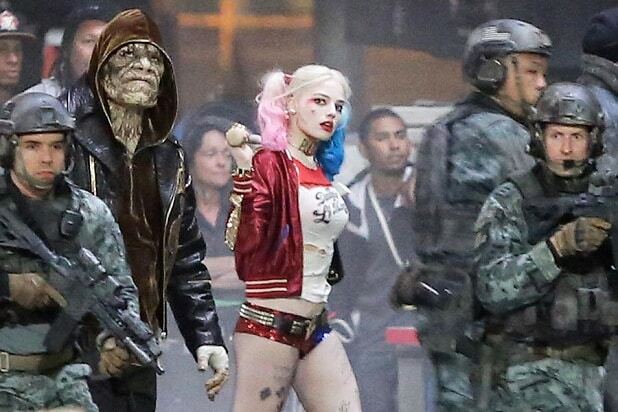 In spite of all the love for “Sausage Party,” Warner Bros. comic book movie “Suicide Squad” still won the weekend with an estimated $43.8 million from 4,255 locations. The ensemble action tentpole came in lower than predictions made earlier in the week, and ultimately had a second weekend drop of more than 67 percent — which follows a similar trajectory as “Batman v Superman: Dawn of Justice,” which fell by a dramatic 69 percent in its second weekend earlier this year. Disney’s “Pete’s Dragon” didn’t have much fire, coming in at $21.5 million — lower than earlier predictions that had it topping $25 million. The movie, produced for $65 million and featuring Bryce Dallas Howard and relative newcomer Oakes Fegley, screened in 3,702 locations. The film centers on an orphaned boy named Pete (Fegley) and his best pal, a dragon named Elliot. The cast is rounded out by Wes Bentley, Karl Urban, Oona Laurence, Isiah Whitlock Jr. and Robert Redford. The live-action remake of the 1977 film has an 86 percent Rotten Tomatoes score and a solid A rating on CinemaScore. Finally, Paramount, Pathé and BBC Films’ warmly reviewed Meryl Streep dramedy “Florence Foster Jenkins” couldn’t crack the top five, making an estimated $6.9 million from 1,528 screens. Directed by Stephen Frears, its Rotten Tomatoes score is 88 percent, and its CinemaScore is A-. The film follows the life of the 1940’s New York heiress after whom the film is named and her awkward attempt at becoming a great singer. Hugh Grant, Simon Helberg, Rebecca Ferguson and Nina Arianda also appear.